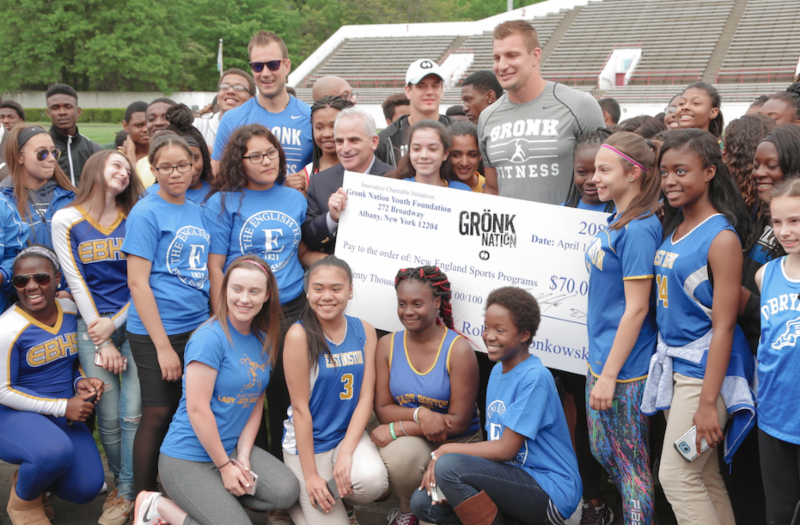 BOSTON — Wednesday, May 24, 2017 — New England Patriots player Rob Gronkowski presented a check for $70,000 toward athletic equipment for female athletes to the Boston Public Schools (BPS) and five other New England school districts in a ceremony today at White Stadium in Jamaica Plain. The two-time Super Bowl champion presented the check on behalf of the Gronk Nation Youth Foundation, which is dedicated to inspiring and supporting youth through sports. The donation was made in collaboration with Riddell Athletics and the John Hancock. 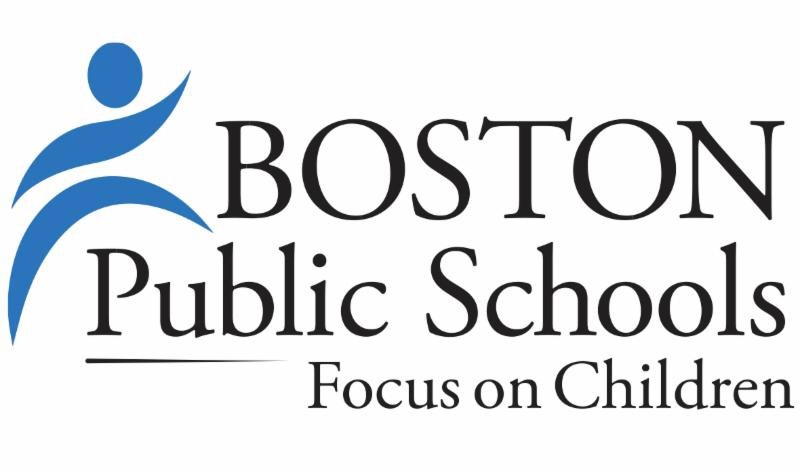 The check presentation took place shortly before the BPS Track and Field City Championship that showcased BPS student athletes from across the city. Gronk met with several students participating in the championship, including John D. O’Bryant School of Mathematics and Science junior Destaunia Perry, who recently overcame a leg injury; and Francis Sosa, a junior at Brighton High School who is working one-on-one with coaches to develop perseverance strategies to help his athletic performance. “As an athlete, I understand the importance of safe and effective equipment. That is why on behalf of our foundation, we are happy to be able to provide this grant to women sports programs at Boston Public Schools,” Gronkowski said. Boston School Committee Chairperson Michael O’Neill thanked Gronkowski for having a positive influence of BPS student athletes. BPS Superintendent Tommy Chang was on hand with Dan Arrigg Koh, chief of staff to Mayor Walsh, to thank Gronkowski for helping Boston students.